Any online business understands the need to fully convert potential customers into actual customers. Attracting people to your online store-front is relatively easy; getting them to follow through with the purchase process is substantially more difficult. All too often, businesses and brands generate enough traffic to sustain their business models, but when a large portion of that traffic never follows through with the purchase, a completely different reality emerges. 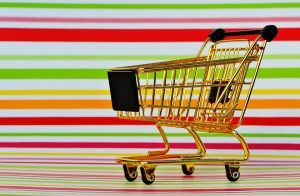 For those brands who have large numbers of abandoned shopping carts, converting those incomplete transactions into successful sales is paramount. Today, we’ll talk about the main reasons why shopping carts get abandoned and what you can do to ensure they’re reclaimed. Arguably the single biggest reason why shopping carts get abandoned is because of shipping costs. While many brands think it is clever to obscure these costs until the end, if they are unpalatable to shoppers, they will simply abandon the shopping carts. As many as one in three shoppers who abandon carts admit that shipping costs are the primary reason for their behavior. If you have many people who have added items to their carts but have not finished the process, then consider retargeting them with offers for free shipping. These discounts and coupons can go a long way toward encouraging them to follow through with the process. By pinging servers with these offers, you’ll be able to utilize a highly effective strategy aimed at a audience that has already demonstrated a propensity for shopping with you. Whether you are utilizing retargeting to reach out to those who have abandoned carts or you are promoting products to a new audience, a sense of urgency can make a huge difference. If shoppers know that they only have a limited time to act, then the conversion rates automatically begin to increase. As a result, fewer carts will be left abandoned and more sales will be generated. In particular, this strategy can be effective when combined with the first tactic. By offering free shipping for a limited time, you can convert both those who have already abandoned carts and those who may yet do so, thereby increasing your relative sales by an even greater amount. Online stores that merely list product pictures and specifications are failing to truly encapsulate the full shopping experience for their customers. Most research points to higher conversion rates and a reduction in cart abandonment if the brand can actually show the product’s usefulness and appeal. There are many ways in which this can be done, including with photos, videos and product reviews. Rather than focusing on the mere specifications of a product or service, highlight its benefits. While this may seem like overlapping territory to some, the difference is in showing exactly how a product benefits those who use it. Ultimately, the lowest hanging fruit for online businesses is ensuring that previous visitors and prospective customers finalize their purchases. By following the advice given here and pinging servers with offers and appeals that resonate, any business can cash in on lost revenue and increase sales.